Russia's hybrid military forces attacked Ukrainian troops in Donbas nine times on Friday, October 20, according to the press center of the Anti-Terrorist Operation (ATO) Headquarters. The enemy intensified its attacks significantly near the town of Avdiyivka in the Donetsk sector. "The militants shelled our strongholds [near Avdiyivka] three times, using various types of grenade launchers, infantry fighting vehicles, and small arms. They also launched 12 mines of 120mm caliber at around 16:00 Kyiv time. 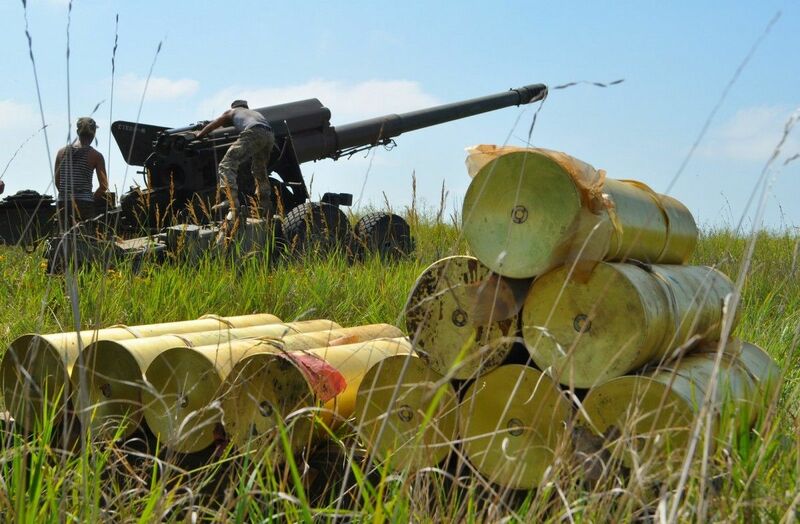 The ATO strong points near Butivka coal mine and the villages of Kamianka and Verkhnyotoretske also came under the enemy small arms fire," the ATO HQ posted on Facebook. A total of six ceasefire violations have been recorded in the said area. Read alsoEscalation in Donbas: 36 attacks on Ukraine troops, 2 KIAs, 2 WIAs in last dayIn the Luhansk sector, the Russia-backed militants were firing 39 mortar rounds of 82mm caliber for almost half an hour while using heavy machine guns and infantry fighting vehicles near the villages of Troyitske. In the Mariupol sector, the militants opened fire from infantry weapons twice on Ukrainian positions outside the village of Hnutove. The situation in the zone of the Anti-Terrorist Operation remains tense but controlled by the Armed Forces of Ukraine. The ATO forces suppressed the enemy activity amid most attacks.